1. Click on the Advanced tab on your time entry. 2. Click on the Expenses tab, and then on ‘Add expense’ to add new expense lines. 3. 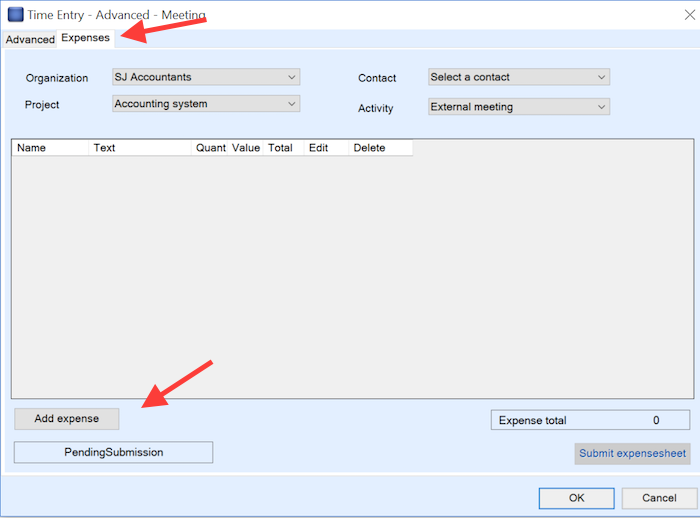 Add the expenses that you want, and when done, click OK. Remember to save the time entry. 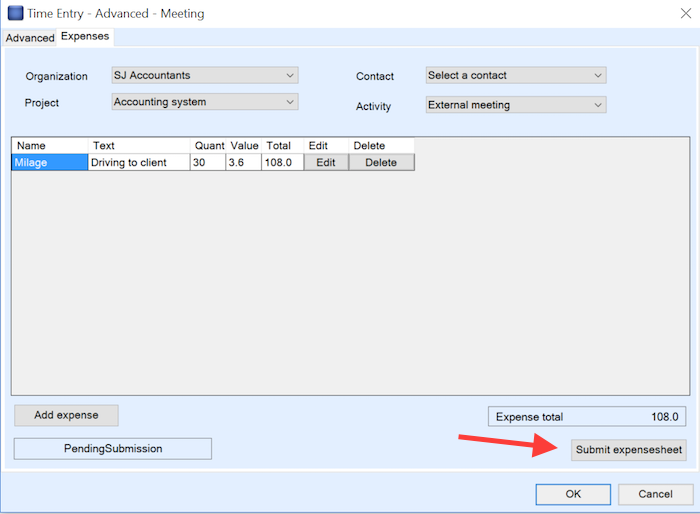 You can submit your expense sheet from your TSR time entry in Outlook, by going to the expense part of the time entry (see above), and then click ‘Submit expense sheet’. You can also submit it together with the time entry, by simply submitting the time entry.